Treewise Tree Services - Tree Surgeon based in Wishaw, West Midlands. 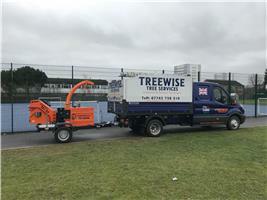 Treewise Tree Services is a small family run business with 15 years's experience in arboriculture (tree surgery),we are based in Sutton Coldfield and offer our services throughout the surrounding West Midlands. We are experienced in all aspects of tree surgery, care of hedges, stump removal and vegetation management for Domestic, Commercial, and Public sector clients. Atherstone, Birmingham, Cannock, Coventry, Lichfield, Nuneaton, Sutton Coldfield, Tamworth and many more areas covering the whole of the West Midlands region.